Provide San Francisco's 7,500 unhoused neighbors with a warm shower and dignity. Imagine that as a result of circumstances beyond your control, you were living on the street. It only takes one night of sleeping rough – lying on a cold concrete street, exposed to the elements, at risk of physical harm, sucking in the exhaust of cars passing by – before your sense of worth is shattered. When you’re dirty people won’t sit next to you on the bus or subway; they won’t look at you as they pass you on the street, and those that do often toss off insults. Imagine what that feels like; what it does to your sense of self? 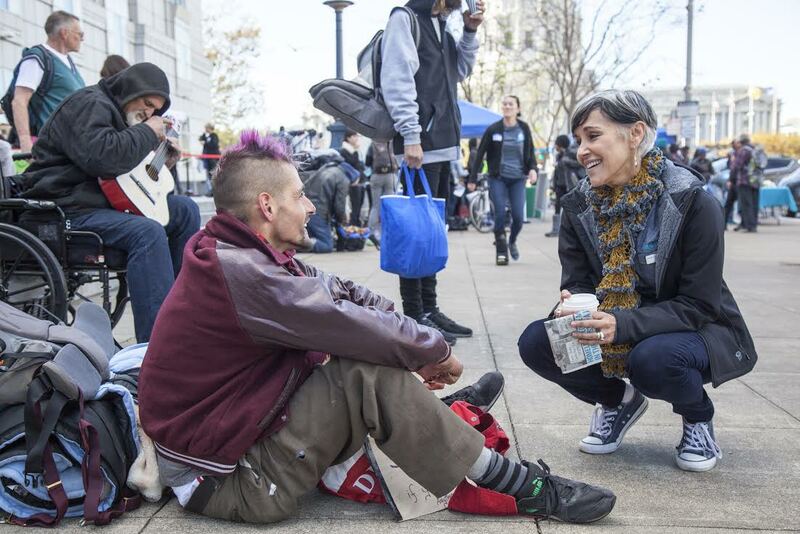 Lava Mae was created to address the appalling lack of access to showers and toilets for people experiencing homelessness in San Francisco. When we launched our mobile hygiene service in June 2014, there were fewer than 16 restroom and shower facilities available for the City’s 7,000 unhoused individuals. 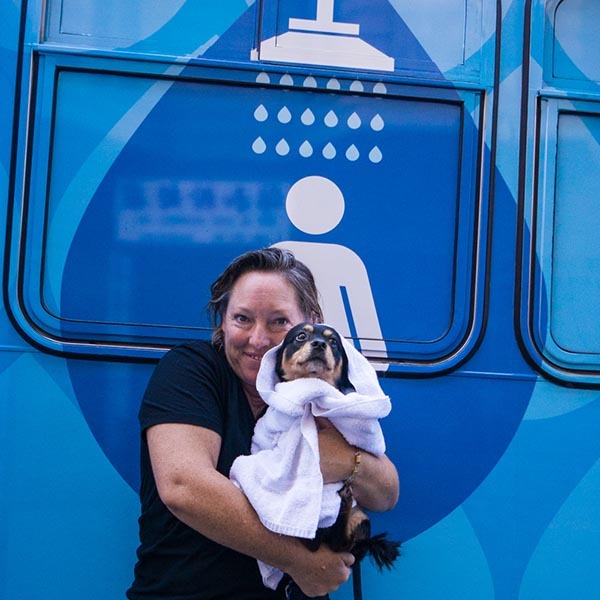 Created to provide a simple, yet life-changing, service, access to hygiene, Lava Mae brings showers + toilets on wheels to help people experiencing homelessness rekindle dignity, restore a sense of health + well-being, and persevere in seeking employment and housing. The need for personal hygiene is fundamental and universal; the need for dignity, vital. Our guests’ capacity to seek jobs and housing is directly impacted by their personal hygiene, and our service is a critical first step to ensuring they can create forward momentum up and out of homelessness. * Lava Mae is a registered 501c(3) and your donation will be tax deductible in the United States. To receive a donation receipt, please sign in or create a user account and the receipt will be sent to your email address. Every donation over 0.1 ETH on SPRING comes with a unique digital collectible Nifty Shiba. As Lava Mae makes updates about your donation, your Nifty Shiba will grow.